White Rhinos enjoy grazing in a field of grass, just like a cow while Black Rhinos will eat bushes, twigs, leaves, tress and grass. Man is the only predator of the Rhino. They are often hunted for their horns. 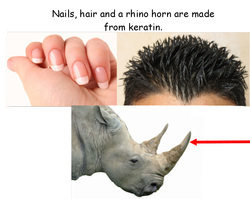 Watch out for the Black Rhino, they have a short tempter and get mad pretty easy. The White Rhino is a bit more kicked back but will charge if they very annoyed. White rhinos aren't white. And black rhinos aren't black. 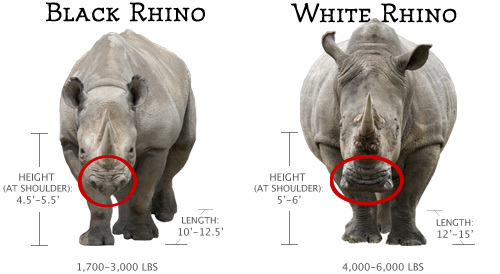 They are both greyish in color but the White Rhino is lighter in color. African rhinos have a special relationship with oxpeckers, also called 'tick birds'. In Swahili, the oxpecker is called 'askari wa kifaru', which means "the rhino's guard". The oxpecker eats ticks and other insects it finds on the rhino and the rhino enjoys its company. Rhinos are fast! They can run up to 30 - 40 miles per hour and they start very young! 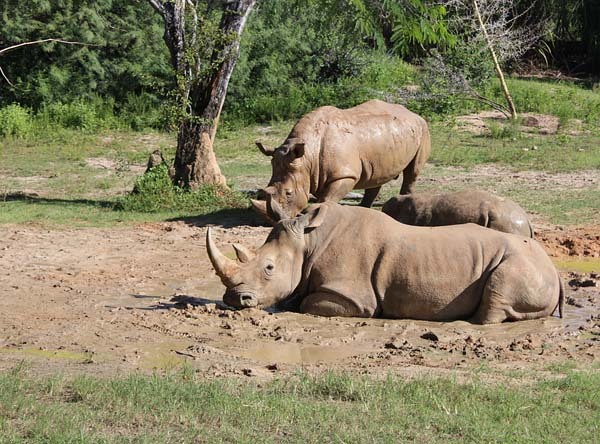 Rhinos enjoy a mud bath to cool off and get rid of bugs. 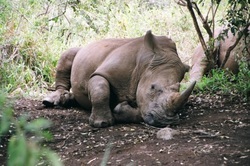 A rhino will take a nap under a tree on a hot day, but when it's time for a deep sleep, they lie down and curl up their legs. 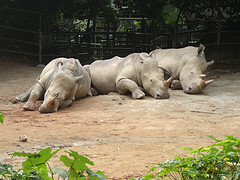 Unlike you, a rhino only sleeps for a few hours every day.